In 2018, more players than ever have discovered Springbok Casino’s huge collection of slots and table games, all played in Rands. Springbok Casino has long been South Africa’s favourite, but the casino reports that this year its membership grew by 22% more than last year. Word has spread that Springbok is generous with casino bonuses. It’s “Take It Down” match bonus is a player favourite since everyone that claims it also gets a free R1000 no deposit bonus. 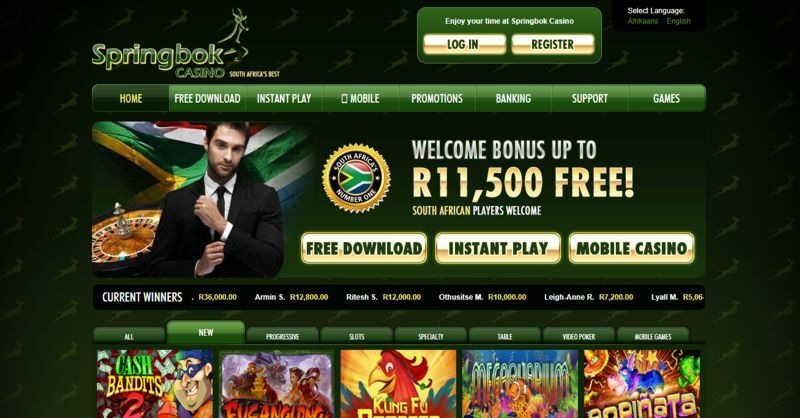 Until the end of November, Springbok players can take 25 free spins on the video slot game Asgard from Realtime Gaming. With more new games on the horizon and more people than ever enjoying the casino’s slots and table games, South Africa’s Springbok Casino looks forward to welcoming many more new players in the coming year.